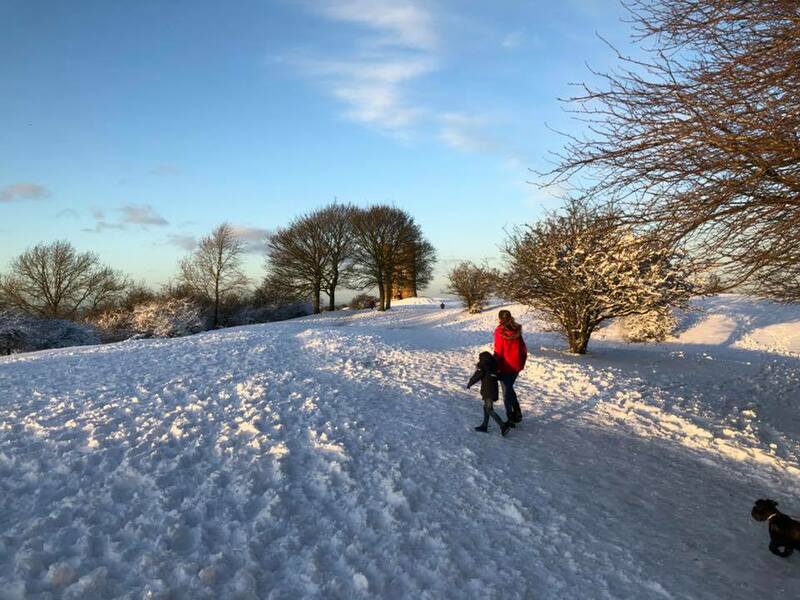 With the recent (and much welcomed) heatwave that warmed the countryside and people of the UK, Winter feels like a millennia ago. I know it didn't feel that way at the time, especially when the snow kept on falling, but the truth of the matter is that only 2 short months ago, there was still snow on the ground. For the first time in a long time, we had a winter to remember, and Leo got his first real play in the snow. 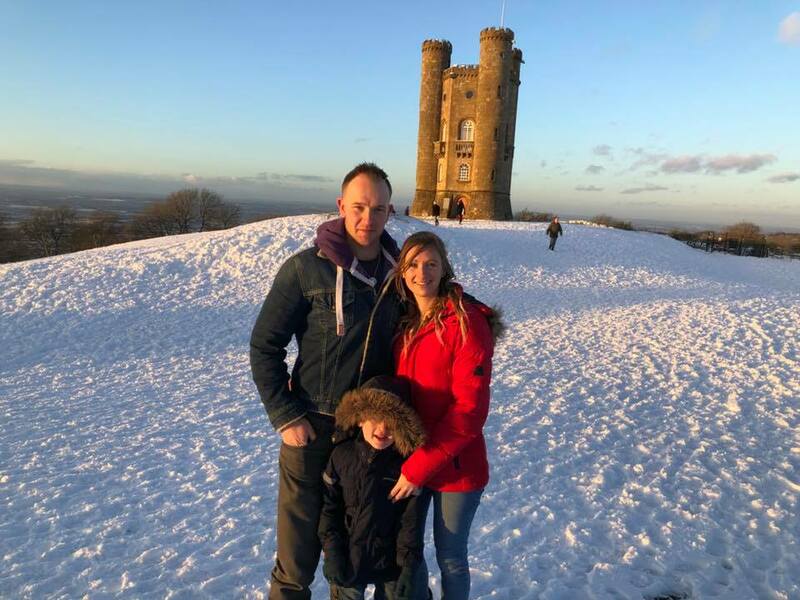 His little face as those first flurries of snow started to fall from the sky was a picture, and then when it settled on the ground and he realised that we could go outside to build snowmen and make snowballs, it was as though all of his Christmas's had come at once. We live on the outskirts of the Cotswolds, a place that everyone seems to know, and just down the road from us we have the beautiful village of Broadway, and the equally stunning Broadway Tower. 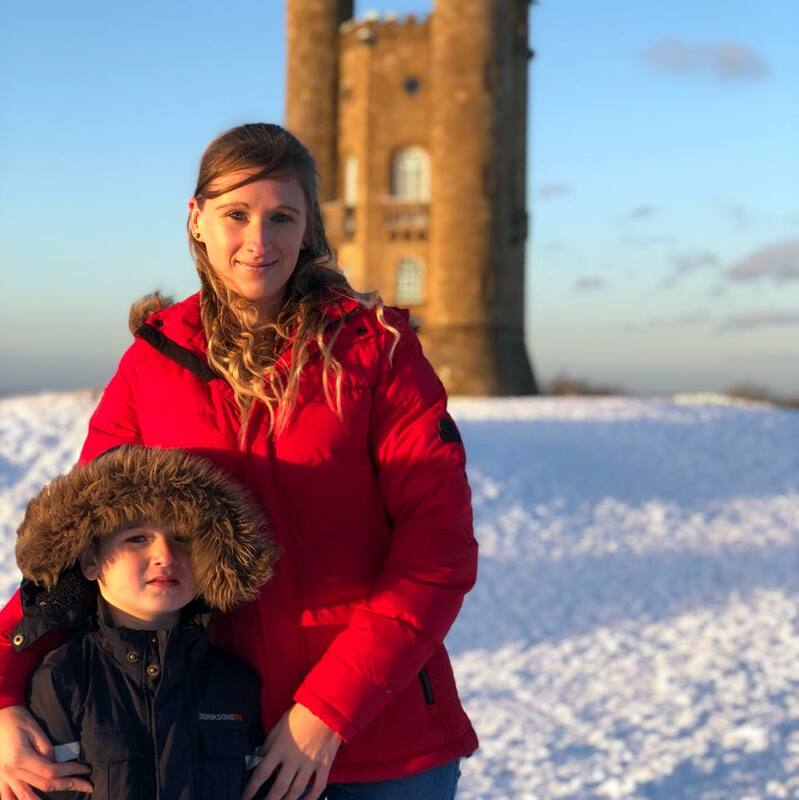 I have seen Broadway Tower in many weathers, but never in the snow. With a fresh blanket of snow upon the ground, the family and I decided to take a slow and steady drive up Fish Hill to see what we would find at the top. We put on our Winter's finest and stepped out into the sub degree temperatures. 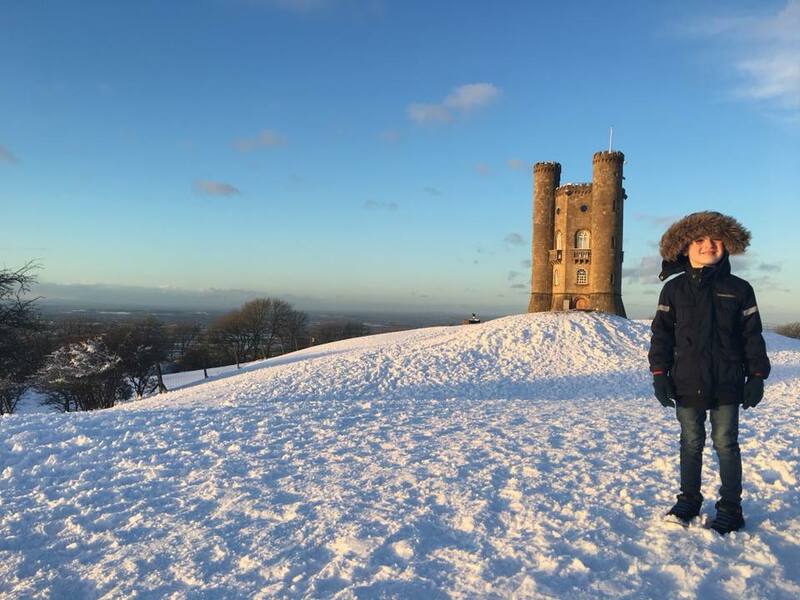 I was sent a really nice Winter's coat from Simply Be on the run up to Christmas - The Tog 24 York Womens Tcz Thermal Jacket, and this little family outing seemed like a great time to take some nice family shots for this here blog post. Even up at the top of Fish Hill on that cold snowy afternoon, I didn't really feel the cold. I was warm and taking in the frosty landscape around me. My red coat has done me proud during the harsh coldness we have experienced over the last few months, and I have been wearing it right up to early Spring as the weather has been so intermittent (One of the amazing things about the British weather is, you really do not know what card you are going to be dealt). Broadway Tower is one of those places that is a honey pot for tourists, and in the many times I have visited this unique folly tower, this visit alone was the only time I had seen it so quiet. On this day there were only a handful of people roaming around, and it was on this day that the little tower looked it's absolute best. The view points across the 16 counties (a 62 mile radius!) that can be seen from atop the hill looked like a scene out of Narnia. You could almost be forgiven for taking a second glance looking for the snow queen herself. For years I couldn't get my head around why people from all over the world would travel so far to see Broadway and the surrounding villages within the Cotswolds. You really can live somewhere and not really see a place, it wasn't until I flew out to New York the other year and marvelled at how big that city really was, that I really grasped the reason as to why people were as captivated by my little corner of the globe as they are. Because upon my return from the concrete jungle, I too marvelled at how much greenery we have, our little oldie worldie landmarks and our cobbled streets, the big unspoilt open spaces that are drapsed in history and wonder. I think as you get older, your understanding and perceptions do change. You start to see things for the first time, things that have been there all along, things that you took for granted. We have definitely been getting outside more since we added Lux (the family dog) to the fold, and that has meant that we have seen so much more of our local area which cannot be a bad thing. 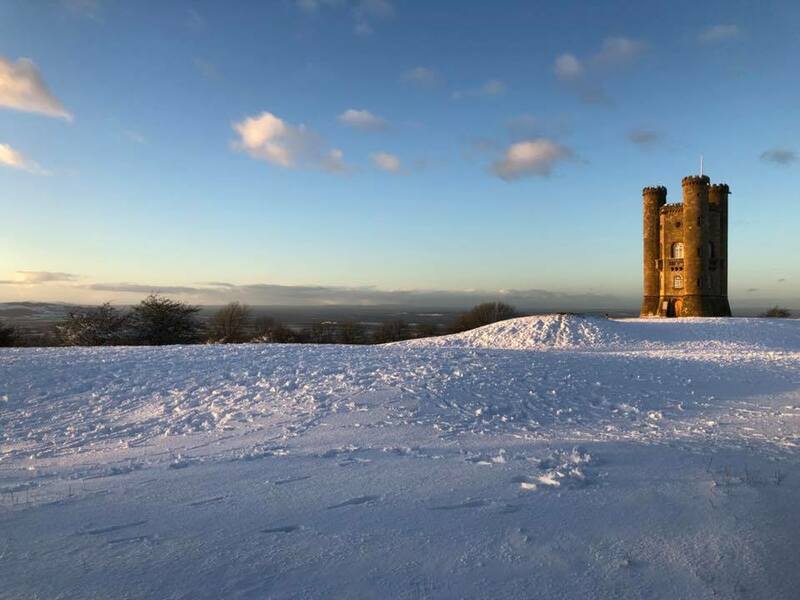 What I didn't know until fairly recently is that Broadway Tower has a bunker from the cold war, it was used to monitor and operated by men and women of the Royal Observer Corps. These select few would spend 3 weeks below the surface during a nuclear exchange. During this time they would study and share their findings on the effects of nuclear explosions and the aftermath. My other half Luke has talked about this bunker for as long as I can remember.... But for a long time i thought that it was just one of his tall stories. As it happens, there is is a bunker close to Broadway Tower! Now the weather has warmed up, I might just have to venture back with my adventurous Leo and see what we can find down there.